Celebrating a child's birthday can be very exciting for the parents and family but can be very expensive. Most children as they grow up, if they go to a school then they will more than likely want a party for their birthday. But you don't have to do a party every single year. 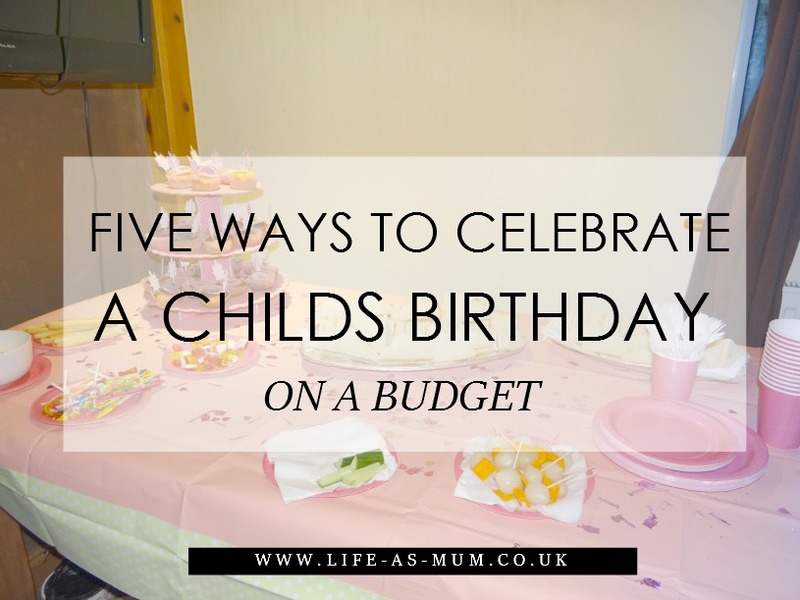 There are many other ways to celebrate a child's birthday without spending so much money. Why not invite about 5 or 6 friends from school and have a little buffet or cook some tea for them. It doesn't have be a fancy party, just something small at home. Let them choose a movie to watch and bring some different toys and games out to play. You don't have to go out and spend loads of money on someone who does hairs, nails and make up for kids, you could easily do this yourself. There are many shops who sell cheap nail varnish and make up. Maybe you have make up already. No harm in using a little bit for a small pamper party for the girls! For the boys you could use hair colour spray and tattoos. Again, you don't have to invite the whole class. You can invite about 5 or 6 friends or less and buy some empty plastic cones or cellophane bags for the kids to fill up with sweets. There are many stores you can buy cheap sweets from such as Home Bargains, B&M and more. You could go out for a meal with the family or take a couple of friends out for food. This will be more expensive than the others but still cheaper than a full on party. Great ideas! I really like the idea of a DIY pamper party for when Miss Tot gets a bit older. Thanks for sharing.